In the lead up to its full unveiling next week, the Mercedes-Benz A-Class has been teased. We cannot display this galleryA teaser image of the new Mercedes-Benz A-class has been released, offering the clearest look yet at the fourth generation premium hatch in the lead up to the official reveal on 2 February, ahead of its public debut at the Geneva motor show. Capturing the front profile in dim light there’s nothing surprising to note – minor tweaks have been made to the test mules that have been spied already. Free of a disguise, we now have a better view of the front apron, which is largely open and divided into three air inlets elements with two slatted intakes sitting either side of the lower mesh grille. 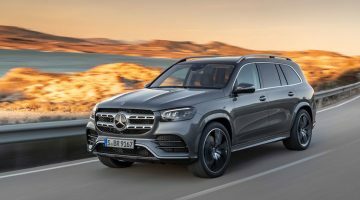 So far, Mercedes has already shown off the forthcoming A-class’s interior which follows Mercedes’ latest interior design language featured across its recently launched models in the range. The biggest change over the preceding A-class is the revamped centre console, which ditches the dual-panel, button-heavy layout in favour of the sleek new arrangement featuring two screens – one atop the centre console and the other replacing the conventional instrument cluster. In the images, the two adjacent, dash-mounted displays held behind a single pane of glass measure 10.25 inches – the larger size option that will be offered on the A-class. Entry-level models will get 7-inch items instead but you will be able to upgrade either screen or both, to the larger size. The minimalist design has uncluttered the A-class interior environment creating an altogether cleaner appearance. This has been achieved by building the interior around the digital interface. The adjoining screens are free of any cowling thanks to careful angling and use of anti-glare glass. This has allowed designers to perch them on the metal-trimmed, lower edge of the dashboard that tapers off at either end into the door inserts. The three ‘afterburner’ air vents, similar to those on the current A-class, are angled slightly towards the driver’s seat to create a more driver-centric environment. Below them you’ll find the familiar, slimline horizontal row of rocker switches, as seen on other Mercedes cars, sitting just above the point that the entire dash folds back in towards the firewall in a similar fashion that of the current Audi A3. Controlling the two screens are both steering wheel-mounted buttons and a centrally mounted touchpad. This is the first new interior design where Mercedes has removed the traditional click wheel, a design element due to spread across the range. Part of this new interior’s all-round improvement is in the space offered, with the new cabin growing in all directions, including a larger 370-litre boot (an Audi A3’s is 380 litres for reference) as well as a wider opening thanks to new two-piece tail lights that spread onto the tailgate. As for the exterior, the new A-class will take a majority of its design cues from the A-class saloon concept. As seen in spy shots, the hatch looks to share the current car’s basic aesthetic, only this time adding an extra pinch of aggression to the front end. Chief among the visual changes is a new down-turned grille that first made its appearance on the facelifted Mercedes-AMG GT. The new grille is now flanked by two slim lighting units that look like they have been taken straight off the A-class saloon concept from earlier in 2017. The flanks have a smoother profile than the current car’s with the convening character lines giving way to more traditional detailing. The window line looks much the same though, as does the tail, save for some slimmer lights that now spread across onto the tailgate. The new tail lights will also address the issue of a narrow boot opening on the current car, an irritable side-effect of the previous single-piece units. 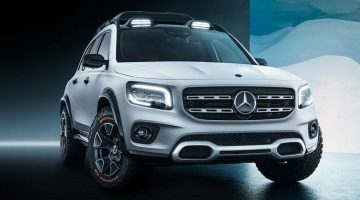 Mercedes has not given much away when it comes to drivetrains, although we expect a wide range of Mercedes-developed four- and possibly even three-cylinder petrol and diesel engines. AMG has also had a big say in this car’s development, with a new-generation A45 AMG ready to retake its crown of being the most powerful hot hatch from the Audi RS3. 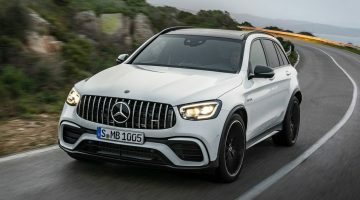 Rumours also persist of a new, lower powered A40 AMG version designed to rival less extreme, but higher selling hot hatch rivals like the Audi S3 and Golf R.
Peer behind the hatch in the pictures and you’ll also see a saloon body style, which as the concept suggested will be available early in the A-class’ model cycle. Mercedes has also been spotted testing a new small saloon-coupe that is not the A-class saloon in these images though, pointing towards the next CLA to be sold alongside, while a new-gen GLA SUV and B-class MPV are also on their way.